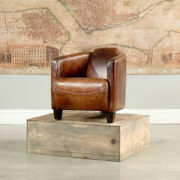 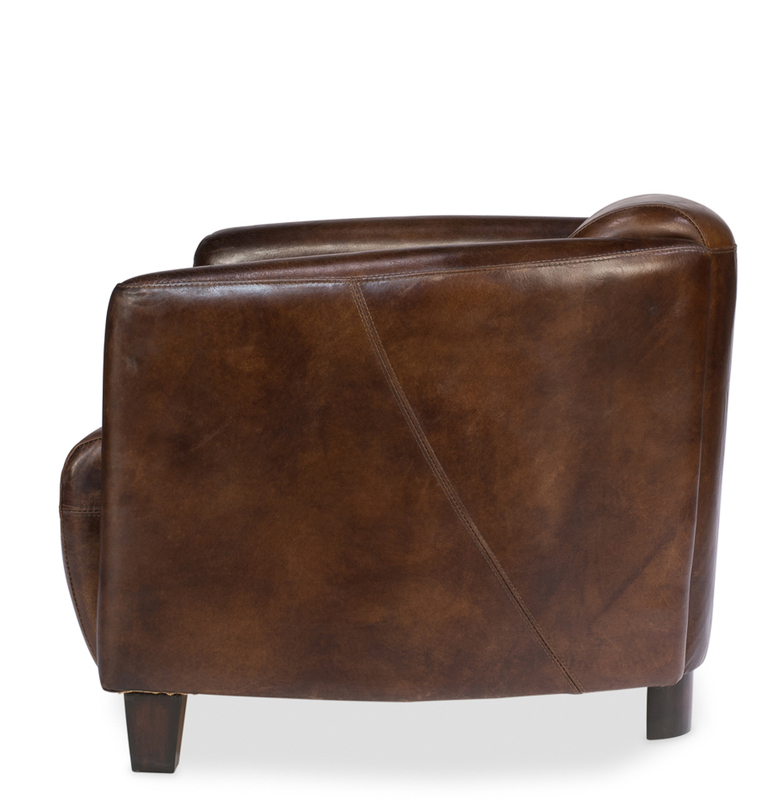 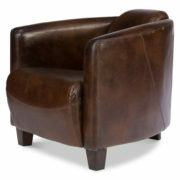 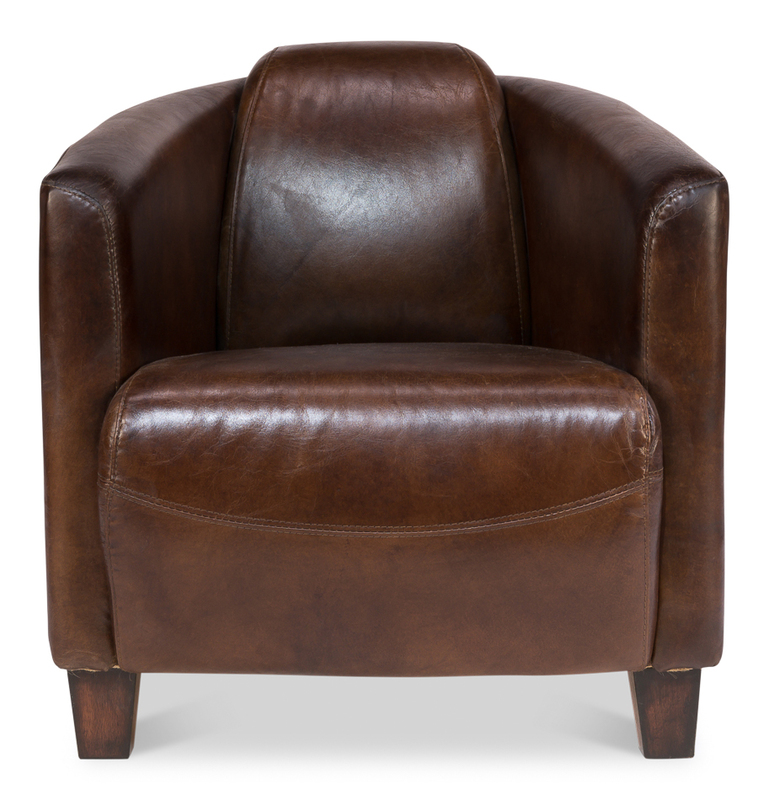 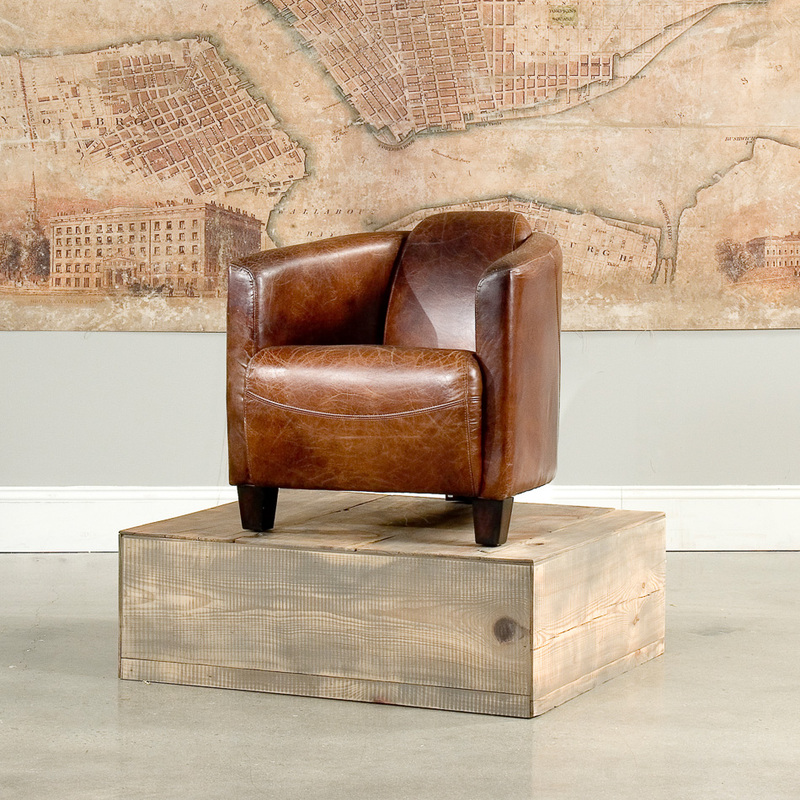 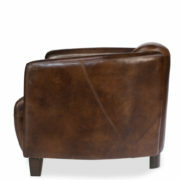 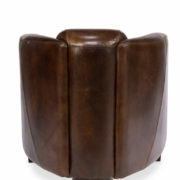 Smart design, luxurious, top-grain leather, and extreme comfort describe this chair. 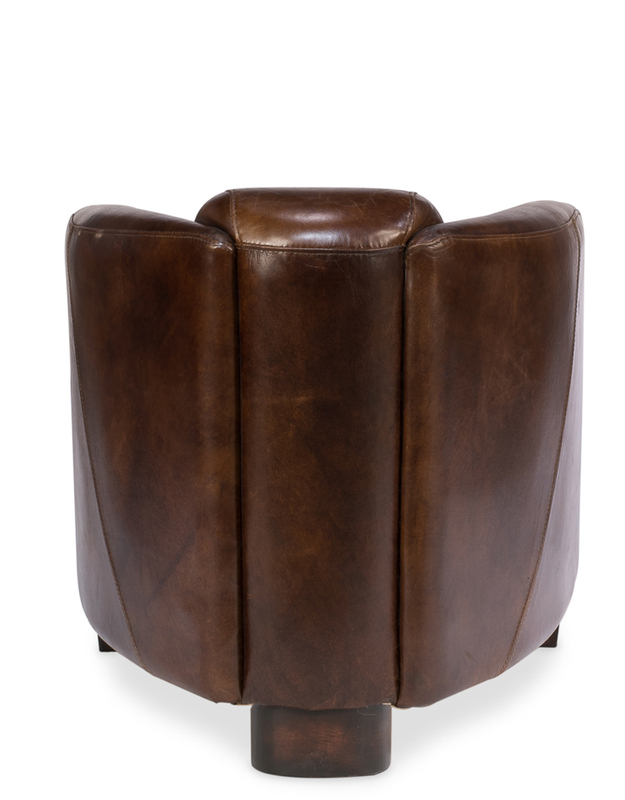 It is beautifully proportioned and will be right at home in your den. 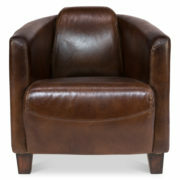 Pure Aniline top grade cow leather. Avoid direct exposure to sunlight/heat, some color variation is common and acceptable on vintage leather.